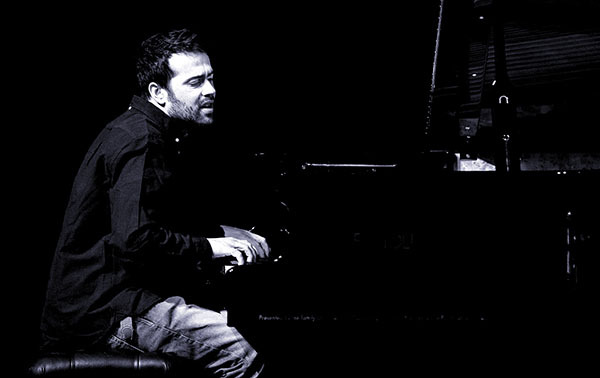 The distinguished Italian pianist Giovanni Guidi has a new album, Avec le Temps, on the ECM label - a swirling blend of composed and freewheeling high-energy improvised music. Fellow Italians Franceso Bearzatti on tenor saxophone and Roberto Cecchetto on guitar are joined by U.S. bassist Thomas Morgan and Portuguese drummer Joao Lobo. The album concludes with 'Tomasz', a touching tribute to the late trumpeter Tomasz Stanko. Sublime singers and electrifying bands - with outstanding international soloists reflecting many styles - drew huge crowds to the 2018 Belgrade Jazz Festival. 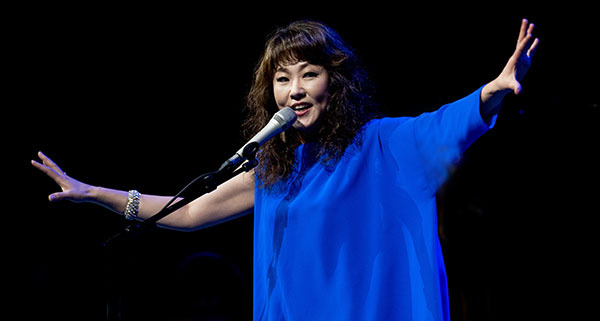 Artists in the Serbian capital included Korean-born singer Youn Sun Nah, U.S. singer Kurt Elling, saxophone master Joe Lovano as special guest with Italian trumpeter Enrico Rava's Quartet, American guitarist Marc Ribot with Serbian punk-influence band Fish In Oil, U.S. tenor saxophonist Ben Wendell with his Seasons Band, the Jensen Sisters from Canada, Spanish solo pianist Marco Mezquida, bassist Omer Avital's Quantar from israel, Australian trio The Necks, Cuban jazz veteran Chucho Valdes, German pianist Julia Hulsmann's strings-and-vocals Octet, and U.S trumpet legend Bobby Shew with Big Band RTS. Among outstanding performers from the Balkans, Serbian-Austrian singer Irina Karamarkovic made a huge impact performing her songs from Kosovo. The festival, held from October 25-29, was the 34th in the series, with concerts held in the Dom Omladine centre and the larger Kombank Dvorana hall. Serbian-Austrian singer Irina Karamarkovic with her stunning project featuring songs from Kosovo. Photograph copyright John Watson/jazzcamera.co.uk. A new solo exhibition of jazz photography by John Watson featured in the latest international Pancevo Jazz Festival, Serbia. The exhibition was staged at the town's Culture Centre, where the festival concerts took place. Stars at the festival included guitarist Ralph Towner, saxophonist Rudresh Mahanthappa, and American singer Cecile McLorin Salvant with the Clayton-Hamilton Orchestra. It was the fourth exhibition featuring Watson's work to be staged within 12 months. 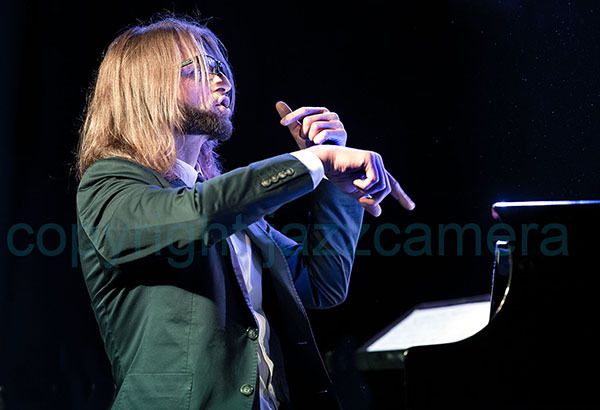 In November 2017 his images were shown as part of the EFG London Jazz Festival, along with those of London-based photographer Alan Ainsworth. A solo exhibition followed at the 2018 Ipswich Jazz Festival in Suffolk, and his photographs were included in the World Jazz Photo exhibition, staged in St Petersburg, Krasnodar and Sochi, Russia. 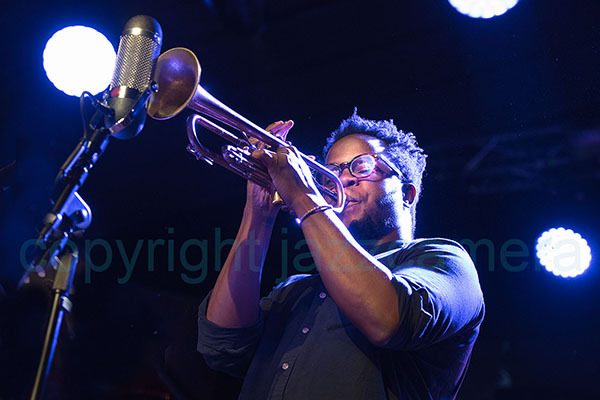 Watson will also be leading another photography workshop at the 2019 Ipswich Jazz Festival (June 21st-23rd), the third successive year that he has led workshops at that festival. Superb music from Polish piano virtuoso Leszek Mozdzer, featuring U.S. trumpeter Ambrose Akinmusire in a Special Project group, was one of many highlights in the Warsaw Summer Jazz Days Festival in Poland. Other outstanding artists included drummer Jack DeJohnette, guitarist John Scofield, bassist Scott Colley and organist John Medeski with their new group Hudson, and British stars including pianist Django Bates, saxophonist Soweto Kinch, and sax-drums duo Binker and Moses. 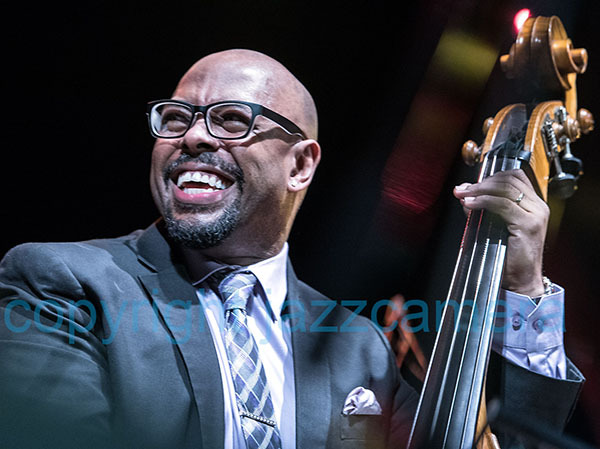 The magnificent Christian McBride Big Band, powerful R&B-influenced saxophonist Kamasi Washington, guitarist Bill Frisell, pianist Jason Moran and sophisticated saxophonist Donny McCaslin were among the highlights of the 2018 Cheltenham Jazz Festival. The festival, held mainly in marquees in the Cotswold town's Montpelier Gardens, with other concerts in the Town Hall and the Parabola Arts Centre, drew record crowds of more than 30,000 fans during a bank holiday weekend heatwave. 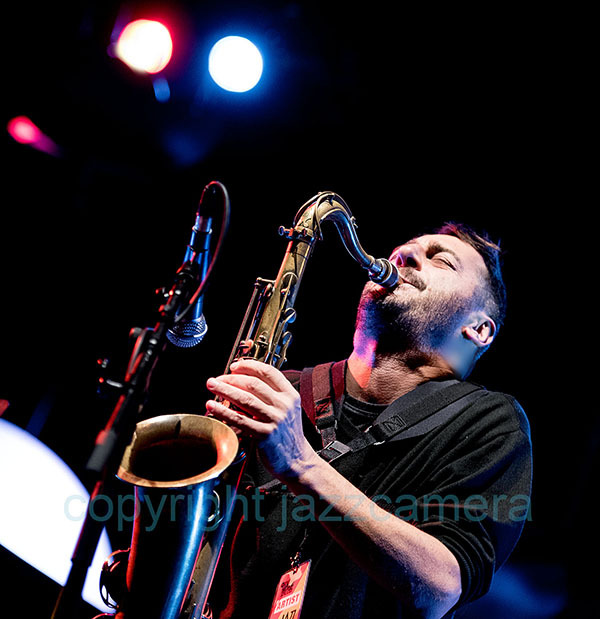 Leading UK artists in the festival included saxophonists Andy Sheppard, Courtney Pine and Evan Parker, swing group Kansas Smitty's House Band, and progressive groups Enemy, Portico Quartet, Vein and Roller Trio. 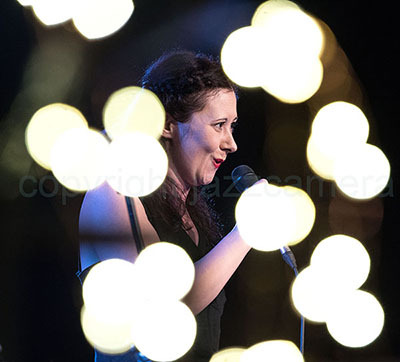 A host of pop and soul stars at the festival included China Moses, Randy Crawford, Imelda May and Beth Hart, plus classical violinist Nigel Kennedy in a tribute to the music of Jimi Hendrix. 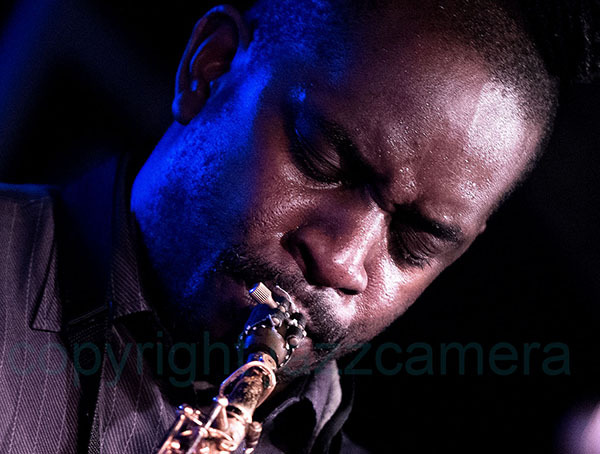 BASCA - the British Academy of Songwriters, Composers and Authors - has chosen John Watson of jazzcamera.co.uk as a recommended photographer. The Academy's Jazz Executive Committee has many leading performers and composers, including Mark Lockheart, Issie Barrett, Ed Puddick, Emily Saunders, Alex Webb and Jason Yarde. BASCA spokesman Wesley John said: "Since our beginnings in 2014 the Jazz Executive Committee of BASCA has gone from strength to strength. We've had a presence at the London Jazz Festival, the Love Supreme Festival, featured at the Jazz FM Awards, and organised a successful 'Composers in Conversation' with Guy Barker, Colin Towns and Zara McFarlane. "BASCA is an independent professional membership association representing music writers and composers of all genres. One of our recent and on-going campaigns is to fight for an increase in royalties earned from digital services, and also for a higher proportion of advertising income from digital platforms such as YouTube." John Watson said: "I am honoured and delighted to be chosen by BASCA as a recommended photographer, and I'm very much looking forward to collaborating with members of the academy on a range of projects." John Watson's images of a host of international artists, ranging from rising stars like singer Elina Duni and saxophonist/singer Haken Kornstad to jazz legends including Jan Garbarek, Jim Hall, Stanley Clarke, Charles Lloyd, John McLaughlin, Sheila Jordan and Chick Corea, can be found in the Jazzcamera 'London Jazz Gallery'. Chet Baker, one of the legendary musicians featured in the new Jazz Gallery Birmingham - see the link on the left. Photograph copyright John Watson/jazzcamera.co.uk. All rights reserved. 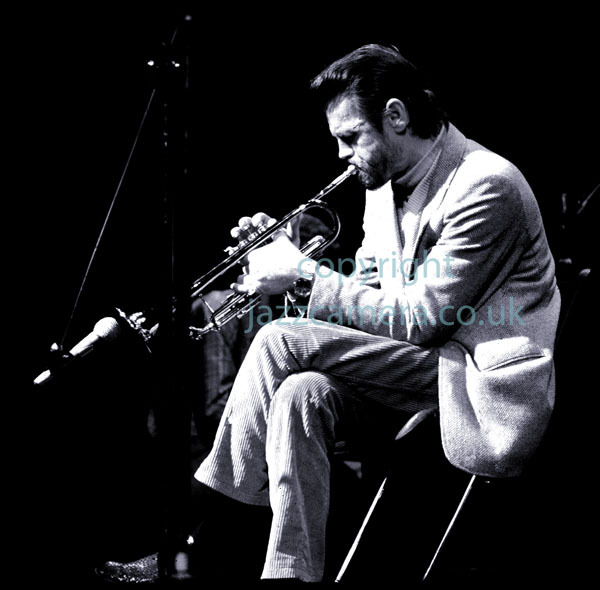 I began my work as a jazz photographer by taking shots of Chet Baker at the Rep Theatre in Birmingham, and over the years I've photographed musicians at many venues in the city. 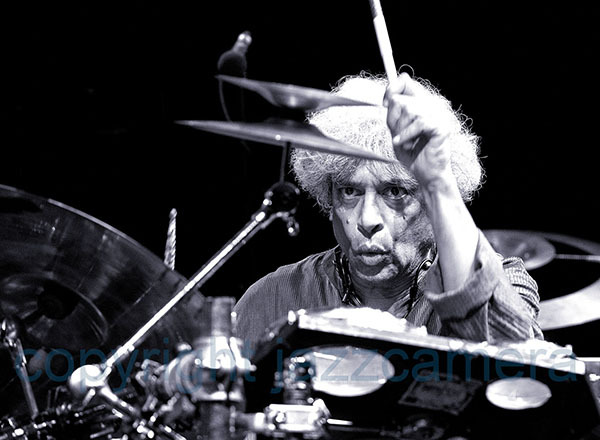 I thought it was time I featured some of these giants of jazz in a special gallery on jazzcamera.co.uk. Artists featured include Gil Evans, Wayne Shorter, Wynton and Branford Marsalis, Eberhard Weber, Oscar Peterson, Jan Garbarek, Esjborn Svensson, John Surman, Pat Metheny and Dave Holland. My sincere thanks go to the promoters and press officers who provide access for photography at venues including Symphony Hall, Town Hall, the CBSO Centre, Mac, the Adrian Boult Hall and to organisations including Jazzlines and Birmingham Jazz. Some of the artists featured are no longer with us, including Chet, but their music lives on in their recordings and in the memories of fans who were lucky enough to hear them live. 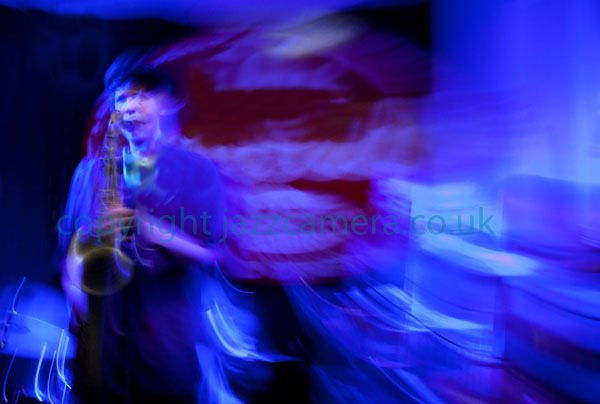 Title: Blue Impressions Copyright John Watson/jazzcamera.co.uk. 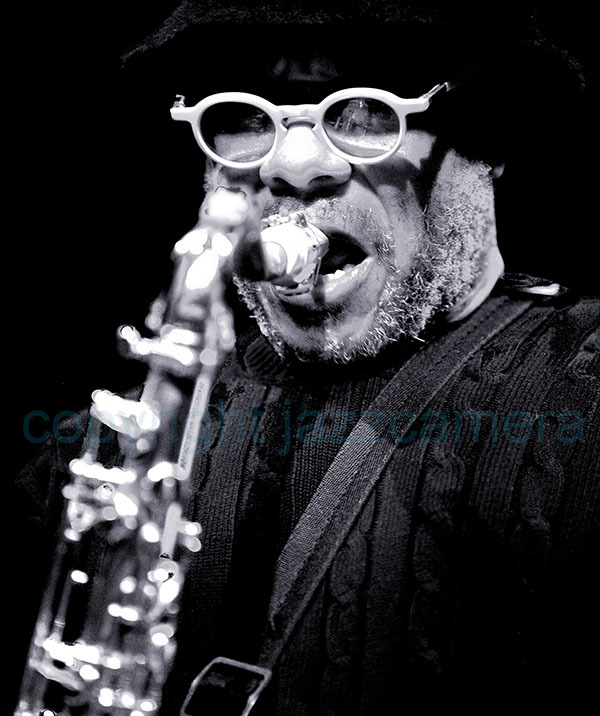 A new series of stunning high resolution prints of John Watson's photographs is now available from www.jazzcamera.co.uk. The prints can be supplied on high quality photographic paper ready for framing, or on rigid PVC board. The series features impressionistic photographs taken at major festivals and venues. The first prints in the series can now be seen by clicking on the link on the left: 'New! Jazz Impressions prints'. 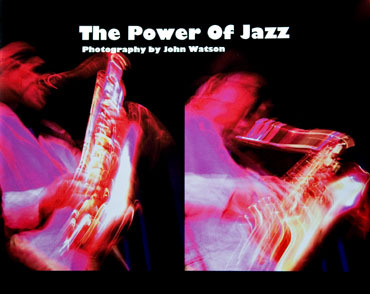 John Watson's critically-acclaimed photography book The Power Of Jazz has been chosen by The National Jazz Archive for its permanent collection. The archive includes more than 4,000 books, journals, letters, programmes and the personal collections of such leading figures as Mike Westbrook, Ian Carr and Charles Fox. The archive, based in Loughton, Essex, can be visited in person or on line at www.nationaljazzarchive.org.uk. The new, updated softback edition of The Power of Jazz has won rave reviews in leading jazz magazines. Enter 'The Power Of Jazz' into the search box. 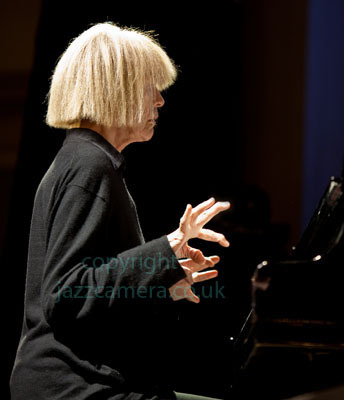 John Watson of jazzcamera.co.uk was nominated for photography in the JJA Jazz Awards in the USA for this shot of pianist-composer Carla Bley. 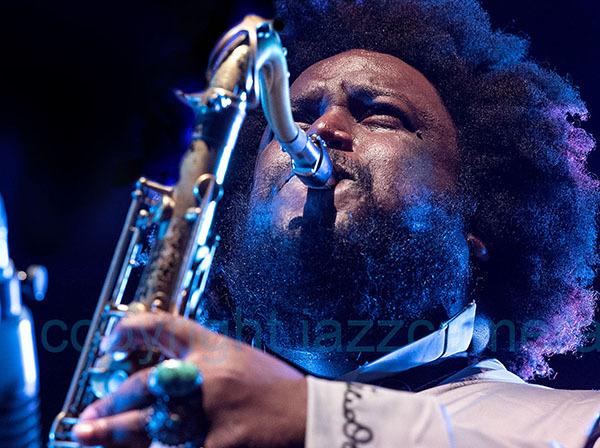 It was the third successive year that he had been nominated in the 'Jazz Photo Of The Year' category of the awards, which are organised in New York by the Jazz Journalists Association.